IT IS IMPOSSIBLE TO GIVE A SPECIFIC TIME OF DELIVERY! ON THE SCHEDULED DAY OF DELIVERY. YOU MUST HAVE SOMEONE AVAILABLE ALL DAY. 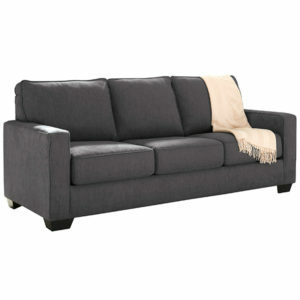 Final payment by cash, personal check or credit card is required 24 hours before delivery. There are no C.O.D.’s. All packaging material associated with delivery will be placed in your designated trash area. Drivers CAN NOT TAKE AWAY ANY TRASH OR PACKING MATERIALS WITH THEM ON THE TRUCK. RE-DELIVERY CHARGE: If your merchandise is not delivered on the scheduled delivery date because you were not at home or you do not accept delivery for any reason, you will be charged an additional FULL RE-DELIVERY & RE-STOCKING CHARGE. Delivery of merchandise is provided by an independent, outside contractor and not connected in any way with Diamond Premier. Diamond Premier has no responsibility nor liability whatsoever for any damage to furniture and/or customer’s property created by the delivery service or their negligence or as a result of customer’s instructions or any liability or responsibility on any matter whatsoever. Customer is responsible for supplying proper address, crossroads, directions, day time phone number, BEFORE DELIVERY. PICK UP INFORMATION: if you are picking up, you must inspect all pieces before leaving our warehouse, we are not responsible for any damages after pick up. As a courtesy, our warehouse will help load your merchandise but they ARE NOT responsible for what happens after you leave our premises. REFUNDS: WE DO NOT ISSUE REFUNDS. OUR REFUND POLICIES ARE PROMINENTLY DISPLAYED IN OUR STORE & ARE IN ACCORDANCE WITH THE PURCHASING STATE’S LAWS. Special Orders or Manufacturers Direct Ships may take 2-4 weeks or longer. Diamond Premier uses its best efforts to ensure that your merchandise is available as agreed on the original sales order but is not responsible for any manufacturer delays or inconveniences that may occur. One year free “LAYAWAY” is available. Regular monthly payments are required at 1/12th of total. If no payment is received for three months, sale will be voided and all deposits forfeited. 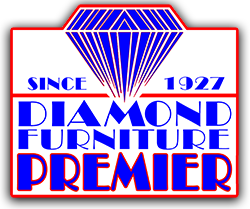 Notify a Diamond Premier Representative at least 2-4 weeks before you are ready to pick up or have delivery of your new furniture. 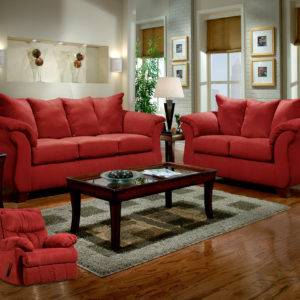 Once we are notified, we will order your furniture. Original purchase prices will be held up to 12 months from the date you begin your layaway. Any changes or re-selections during the term of the layaway will be subject to the current sale prices at the time change. If merchandise is discontinued by the manufacturer or is no longer available, you MUST re-select to available merchandise and use your deposit(s) toward its purchase. You will not receive a refund. Bedbugs are not transported by new furniture or bedding. 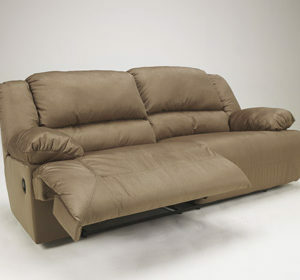 Our furniture and bedding is sealed in plastic at the factory and manufactured of all new materials. IT CANNOT AND DOES NOT CONTAIN BEDBUGS, THEIR EGGS OR LARVAE! DIAMOND PREMIER CANNOT ACCEPT RESPONSIBILITY FOR BEDBUG INFESTATIONS including any extermination expenses, nor will we exchange or pick up for credit any infested pieces of merchandise. Diamond Premier reserves the right to inspect & determine the cause on any and all claims of defects or damages. Furniture is guaranteed against all manufacturer’s defects for a period of 30 days from the ORIGINAL date the merchandise is delivered or picked up. Diamond Premier will provide service to repair any such defects & restore goods to merchantable condition while under warranty. THERE WILL BE NO EXCHANGES. Necessary service will be performed at the discretion of Diamond Premier either in the customer’s home or in our shop. Merchandise may have to be returned to the manufacturer’s factory for repair depending on the nature of the necessary repair(s). Customer shall be responsible for paying for all charges for repairs and transportation if not covered by warranty. No guarantee is made as to wear or color fastness of fabrics on upholstered pieces or ticking on bedding. Diamond Premier assumes no responsibility for normal wear and tear or any damages cause by customer abuse or misuses during the guarantee period. If merchandise is picked up, Diamond Premier assumes no responsibility for any damages caused by customers handling and all warranties are voided. If merchandise is not delivered by one of our independent contractors, customer is responsible for transportation to and from repair facility. Any item(s) sold “AS IS” does not have any warranty or guarantee. Lacquer, plastic or painted finishes are NOT guaranteed for scratches or small nicks, as it is the nature of the product. Fabric Protection and Wood Care extended warranties are available and supported by the manufacturer of said products (See Store for Details). Furniture is not perfect. Display samples and online pictures are indicative of what you can expect upon delivery or pick-up. Since all upholstery fabric is cut at random match there is a possibility that the upholstery patterns will not exactly line up with each other at seamed areas. Since no two pieces of wood are exactly alike there is a possibility of variation of the coloring or graining even though identical finishing materials are used. This is the nature of the woods and is not a defect. Atmospheric conditions or heat radiation may cause wearing and drying of wood finishes or lightening of fabric. Diamond Premier will not be responsible for furniture pieces which do not sit level because of uneven floors. ANY PROMISE OF DELIVERY TIME BY ANY EMPLOYEE IS NOT BINDING. Due to variations in deliveries and locations, it is impossible to provide a time or an accurate window for delivery. Any statements or promises of special services made by any employee are not valid and may not be honored unless written on the order signed by that employee and approved by a manager or other authorized officer. See other terms and conditions under “DELIVERY INFORMATION”. Diamond Premier will assume absolutely no responsibility when it is found that the doorway, hallway, staircase, elevator or any access point at a customer’s delivery address is too small or narrow to facilitate the delivery of the merchandise. The customer is required to select merchandise that can be delivered to that address. In cases where the merchandise has been special ordered, the customer will be liable for the full purchase price of the merchandise. The customer is responsible to pay a delivery charge and re-delivery charge/ re-stocking charge where applicable. Should circumstances require delivery through a window or any special delivery service(s) (i.e. rigging, hoisting, etc.) the customer will be required to pay an additional charge directly to the independent delivery service in cash at time of delivery as issued by the contractor. Diamond Premier will not be liable fror any damage to the furniture or residence as a result of a special delivery service agreements made with the independent delivery contractors. Sales orders are not subject to refund. SPECIAL ORDERS – Minimum deposits are required before ordering. We cannot guarantee exact delivery dates of special orders and are not responsible for manufacturer delays or non-delivery due to factory discontinuations and/or circumstances that are beyond our control. Special Orders are not subject to cancellation, return or refund of payments made at any time. If buyer does not accept delivery / pick-up within 30 days of when merchandise is available, Diamond Premier shall have the right to retain any payment(s) to cover seller’s loss of profit and expenses accrued by seller. No C.O.D. Final payment by cash, personal check or credit card ONLY accepted at store at least 24 hours before delivery or pick up. Money orders, cashiers’ checks and certified checks needs 21 days before merchandise can be released for delivery or pick-up. Floor samples and “as is” merchandise is not subject to return. ALL SALES ARE FINAL. If your finance sale is not approved, you may elect to pay cash or use our Layaway plan. Any finance sale that is changed to “layaway” shall have “layaway” rules applied. If no payment has been made within 3 months, your layaway will terminate and you will forfeit all monies. All customer pick-ups must have original receipt and must be original buyer(s). “COMPARE AT” Ticket pricing: “Compare at” is neither a retail price comparison nor a representation of Diamond Premier that any sales of this product, at this price, have taken place. This price is merely a representation of the price the product could be sold for in the current retail market.